Located in a relatively isolated spot in Beitmery, the project derives its architecture from the specificities of the site and program. 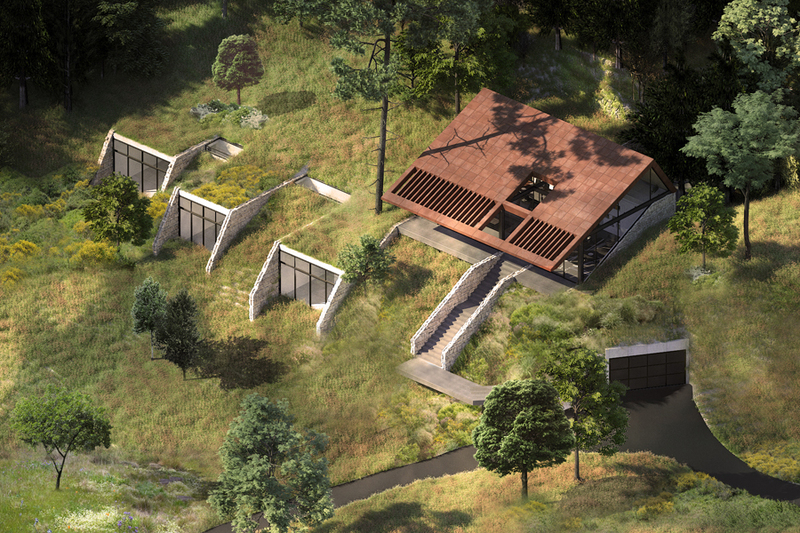 The site is a slopy terrain covered with pine and oak trees that were intended to be preserved as much as possible. Programmatically, the client had decided that after her children leave the parental home, she would like to rent their rooms in a “bed and breakfast” scenario. Conceptually, our response was to lay-out the rooms as separate pavilions in-between the existing trees. To account for the slope, the chambers are inserted within two retaining walls clad in stone reminiscent of traditional Lebanese terraces. A passage lit by skylights links these rooms to a common playroom and secondary entrance. A green roof covers the bedrooms, merging them further within the surrounding landscape. 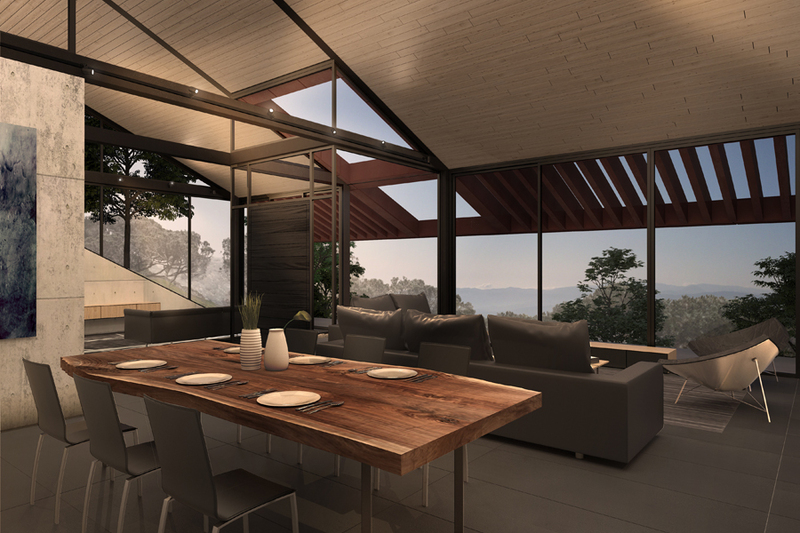 The main reception areas and open kitchen are strategically located one level above with a commanding view of the valley below and nearby forest. 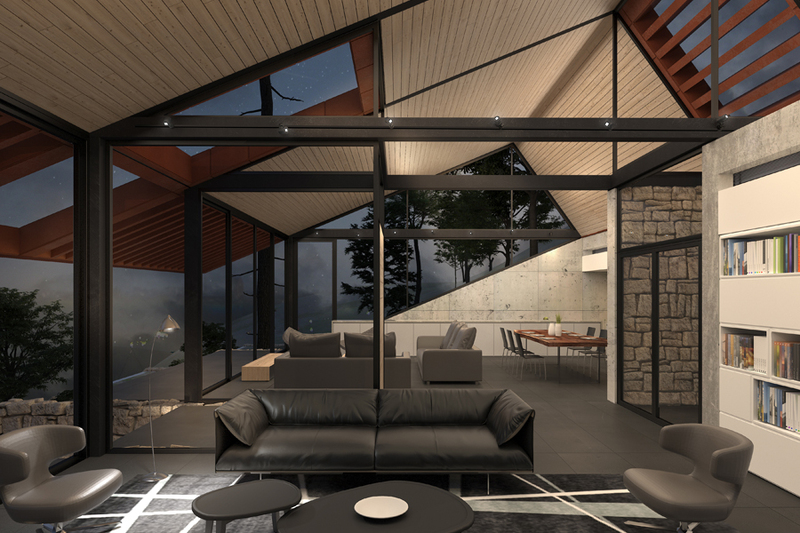 They are simply sheltered underneath a hovering terracotta pitched roof sloping with the site. 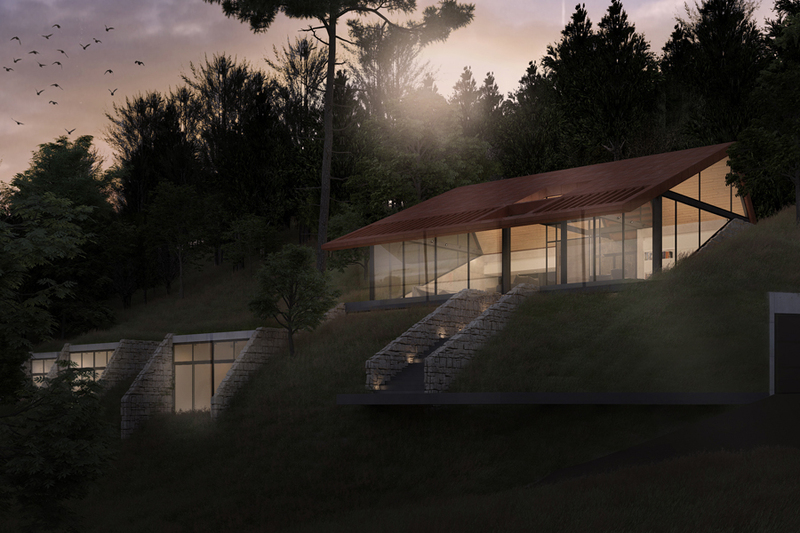 The predominantly glazed facades dilute the boundaries between internal and external while reinforcing the image of a “red” tent strung underneath the existing pine trees.